Claims against banks, financial advisers and insurers have become increasingly common in recent years. These claims range from financial mis-selling to professional negligence disputes over insurance coverage and fraud. Very often these claims arise in circumstances where monies are owed to a bank and they are bought as counterclaims to, for example, surety or guarantee claims. We have a long history of advising both insurers and the insured in insurance policy disputes. Whether or not an insurer pays a claim is not only emotive but is often critical to financial survival. Claims arising out of insurance policy coverage often also involve professional negligence claims against insurance brokers. Having experience of working with both sides allows our lawyers to provide realistic commercial and legal advice on insurance policy disputes. Our clients include both individuals and business who either wish to bring or defend claims by banks, financial advisers or insurers. We often call on our specialist regulatory lawyers, who have extensive knowledge of the regulatory framework in which financial service providers operate. 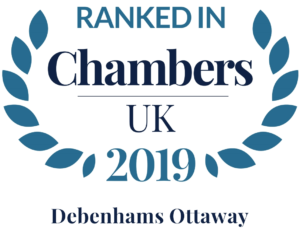 We are regularly recommended by other law firms where either they have a conflict of interest or client’s budgets doesn’t stretch to London rates. insurance coverage and contribution claims.